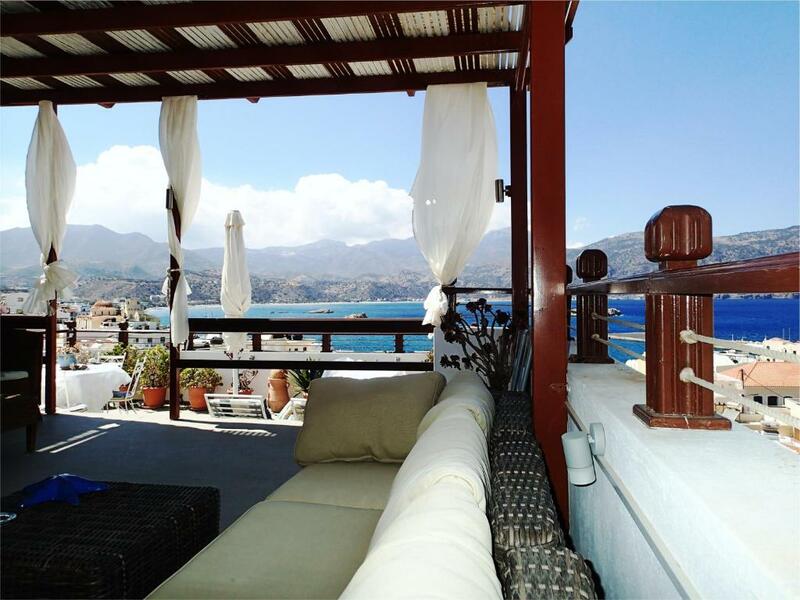 The property is in an excellent location with all amenities close by. Helen was such a kind and warm host who ensured that our stay was comfortable and enjoyable. We loved Helen’s delicious morning cakes and having breakfast on the beautiful terrace! We really enjoyed our stay and want to thank Helen for her wonderful hospitality! 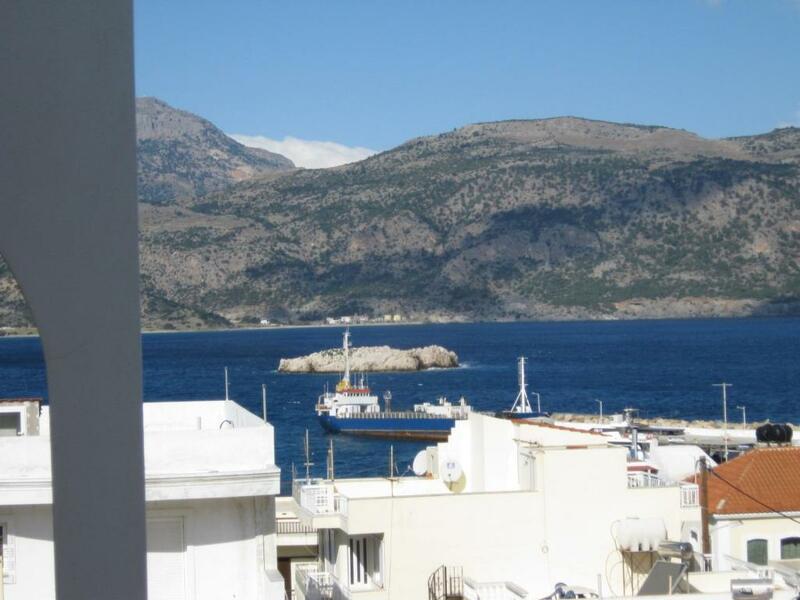 excellent position: very close to the port and the centre of pigadia the best is the roof garden, we enjoyed it at the breakfast time (lovely) and at the sunset: it was terrific thanks helen for everything: if we come back to karpathos we will come and visit you!! Hospitality showed by host. 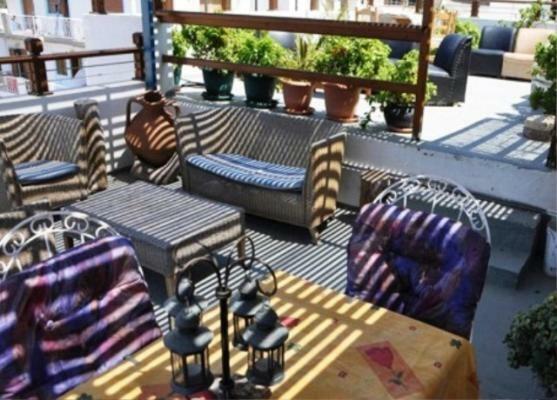 Nice upper terrace with view of harbour. The rooftop terrace is great. The host welcomed us with a friendly chat. The location is very convenient for the town, and quiet too. Eleni the owner is the most caring host i ever met. Always trying to help. She recommended to us a great restaurant that was easy to find. Her breakfast, perk not included in the rate but gladly offered by her was a great morning kick start. 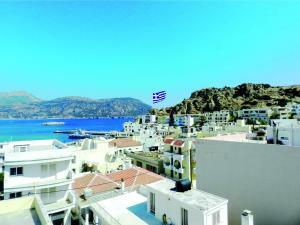 The place is also very well located just a few steps from the port and its shops and restaurants. The owner Elena is very friendly and helpfull. The view from the roofgarden is beautiful. It was my second time in this appartment and I enjoyed it very much. I specially loved the cake which Elena made for the breakfast. We love this hotel! Great location and amenities. Eleni and George are the sweetest, most friendly, accommodating hosts! The rooftop view is amazing, too! Lock in a great price for Odyssey Hotel Apartments – rated 8.9 by recent guests! 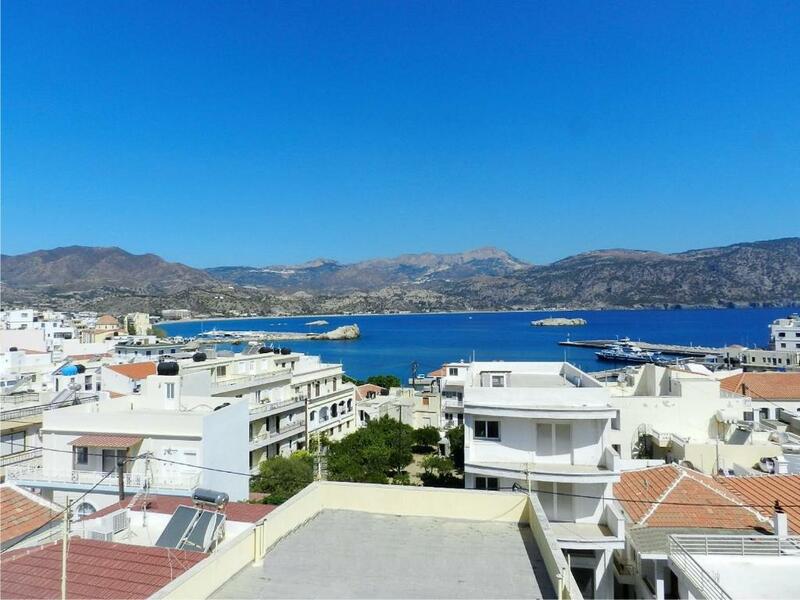 Odyssey Hotel Apartments This rating is a reflection of how the property compares to the industry standard when it comes to price, facilities and services available. It's based on a self-evaluation by the property. Use this rating to help choose your stay! One of our best sellers in Karpathos! Located in Pigadia, Karpathos’ capital, this hotel offers a rooftop terrace with a panoramic view to the port. 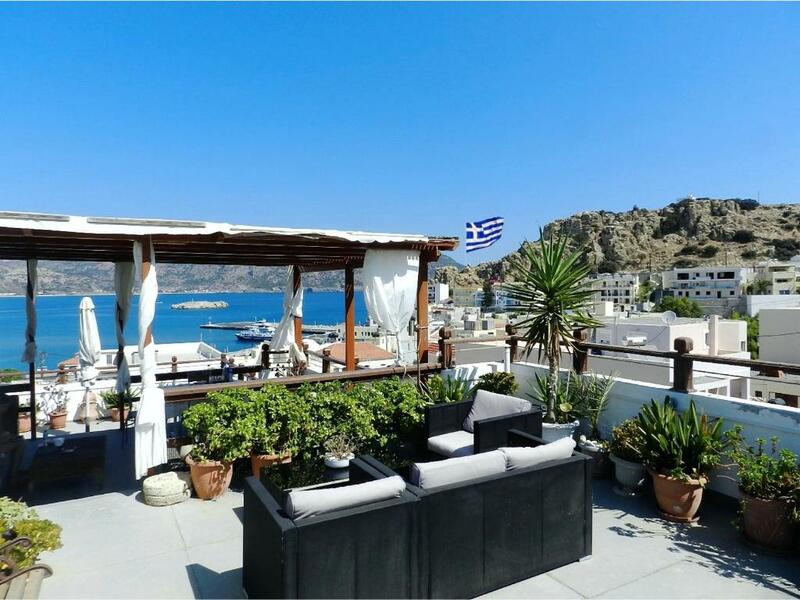 Rooms lead onto large balconies with views of the Aegean Sea or the mountains. Accommodations at the Odyssey Hotel Apartments are spacious and self-catered. Each comes with air conditioning and includes free Wi-Fi, kitchenette with fridge and a private bathroom. 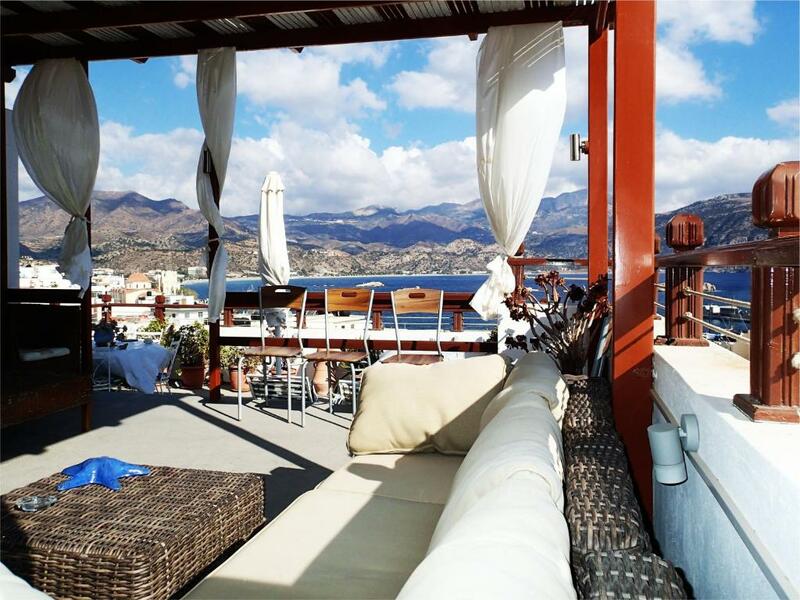 Upon request, Odyssey Hotel guests can enjoy a free breakfast served at the panoramic roof garden. The promenade with its traditional taverns and scenic cafes is less than 350 feet away. Odyssey Hotel is just 800 feet from the bus stop. It provides a car hire service and guests benefit from free public parking, available nearby. 뀐 Located in the top-rated area in Karpathos, this property has an excellent location score of 9.3! 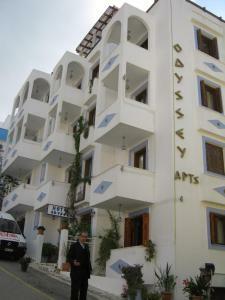 When would you like to stay at Odyssey Hotel Apartments? Open-plan in style, these studios can accommodate up to 1 extra bed or babycot. Spacious apartment with 3 balconies. House Rules Odyssey Hotel Apartments takes special requests – add in the next step! Odyssey Hotel Apartments accepts these cards and reserves the right to temporarily hold an amount prior to arrival. Please inform Odyssey Hotel Apartments of your expected arrival time in advance. You can use the Special Requests box when booking, or contact the property directly using the contact details in your confirmation. Need of refurbishment of kitchen. Breakfast very simple. Very friendly lovely lady at the reception. Very spacious and clean room. It was also very close to the beach, cafes and restaurants! Kitchenette could do with some updating. Very nice owner. Lovely roof terrace with view. Nice to get complementary breakfast. Useful lift. Convenient parking. The view from our room wasn't nice. It's very close to the city center. Staff is extremely helpful. You could have breakfast on the roof garden. The beds were a bit hard, nothing new for greece though! Very nice and helpful host, she really wanted us to have a pleasant stay. 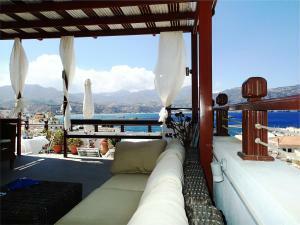 The location was perfect and was very close to both the port, beach and restaurants. 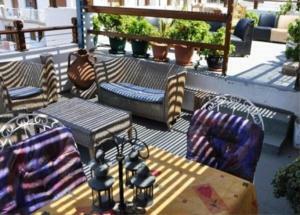 There were also a magical roof garden, perfect for having a lazy afternoon!